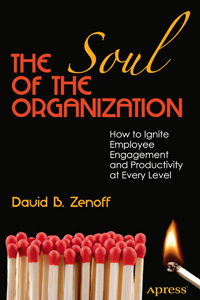 The Soul of the Organization is now available for purchase online! Print copies ($24.99) and e-books ($17.99) can be ordered individually at Apress.com or in paperback at Amazon.com and Barnes & Noble. Group (volume) orders in bulk can be ordered via Apress.com.